So I’m still playing catch up. The Friday after Rosh Hashanah I had an errand to run at Chelsea Market (and by errand I mean picking up done cookies at Eleni’s, my favorite nut free bakery!). Since Colicchio and Sons is just across the street I decided to buy myself a drink at the bar. 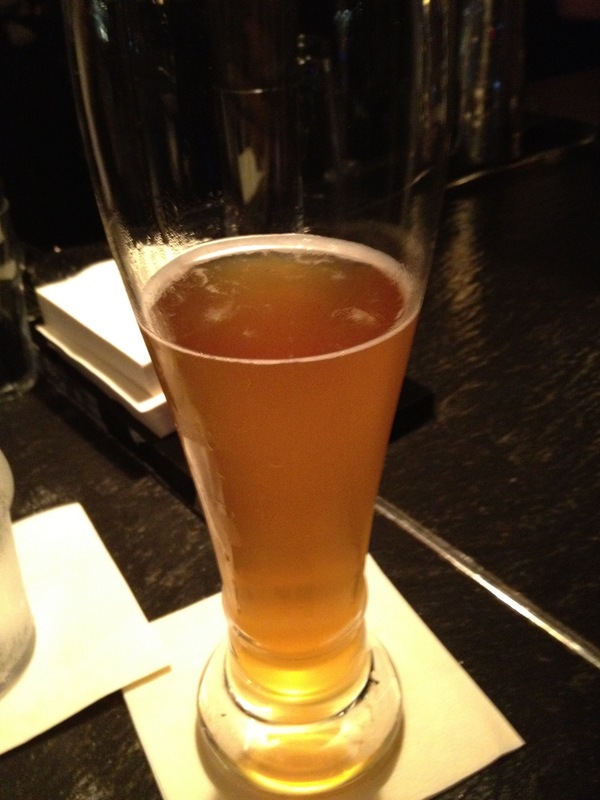 When I sat down I was delighted to find that they had my favorite beer in the world, Tröegs Dreamweaver, on tap. After a few sips, I realized that I was hungry. 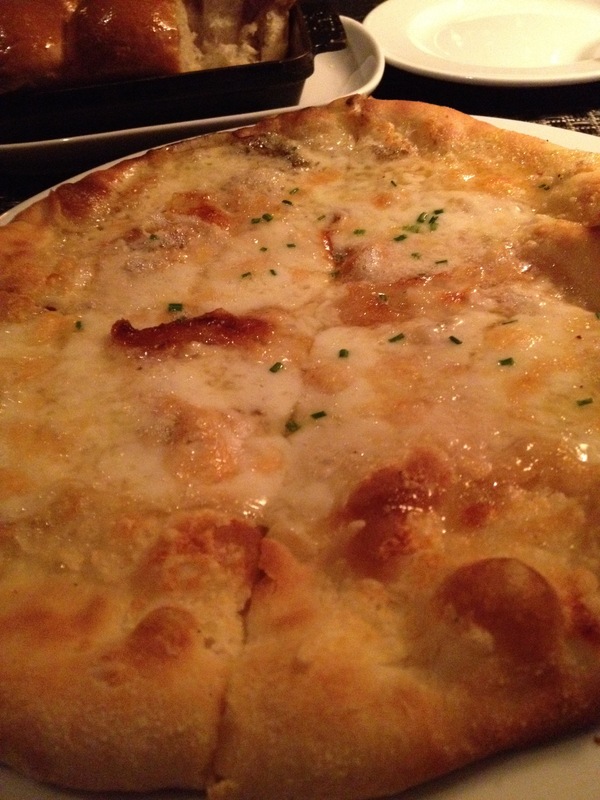 Luckily Colicchio and Sons offers pizzas that are affordable and filling. The bartender recommended the pizza with Taleggio, lardo, honey and figs, but I informed him that I was allergic to figs and went over my other allergies with him. He suggested I still get the pizza and he’d have the kitchen leave off the figs so I went with it. While I was waiting for my pizza I talked to the bartenders about what a huge fan I am of Colicchio and Sons. 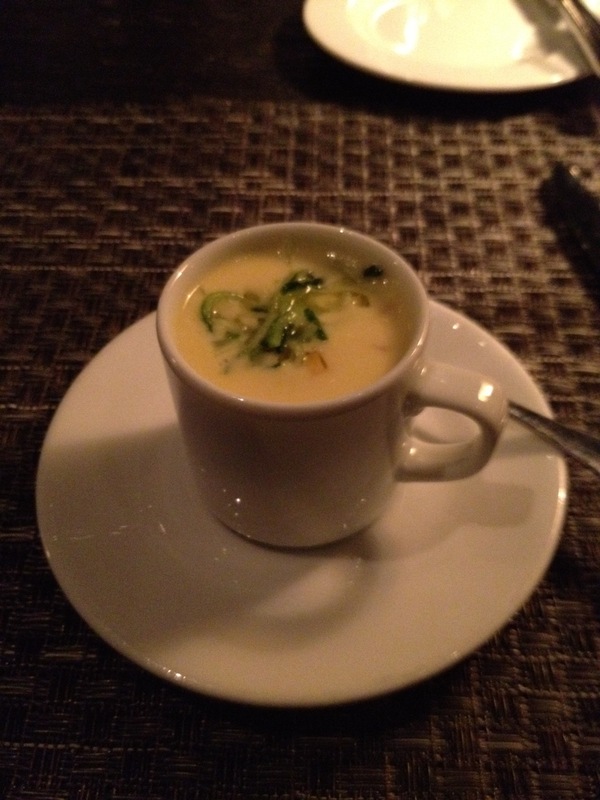 I guess hearing that I’m a loyal customer prompted the always awesome staff to go the extra mile for me because a waiter came over and rewarded me with a tea cup of chilled corn soup with cucumber. OMG yum! 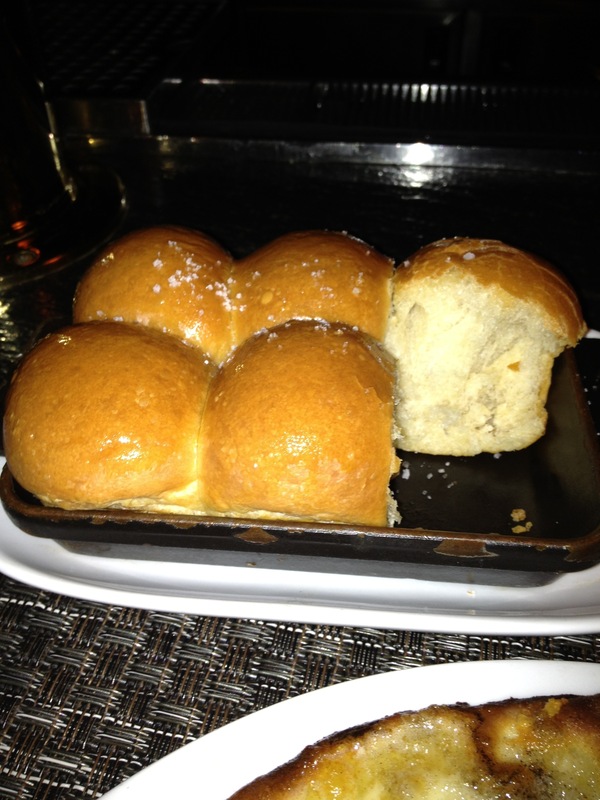 And fresh baked Parker House rolls! And then it was time for this amazingly decadent pizza. Thank you Colicchio and sons for your fantastic food and impeccable service. You never fail me! ← P is for… Peru. Feliz Año Nuevo!